Today was another cold one with wind chill temperatures still below 0 degrees F. However, it “felt” warmer than the previous two days and there was ample sunshine. School in this area was cancelled for the past two days and there was a delayed start this morning. My blog today is meant as another “color infusion” to help get everyone through the winter doldrums. Our Cosmos Collection in 2014 had well over 70 selections and it was nice to photograph so many beautiful varieties. 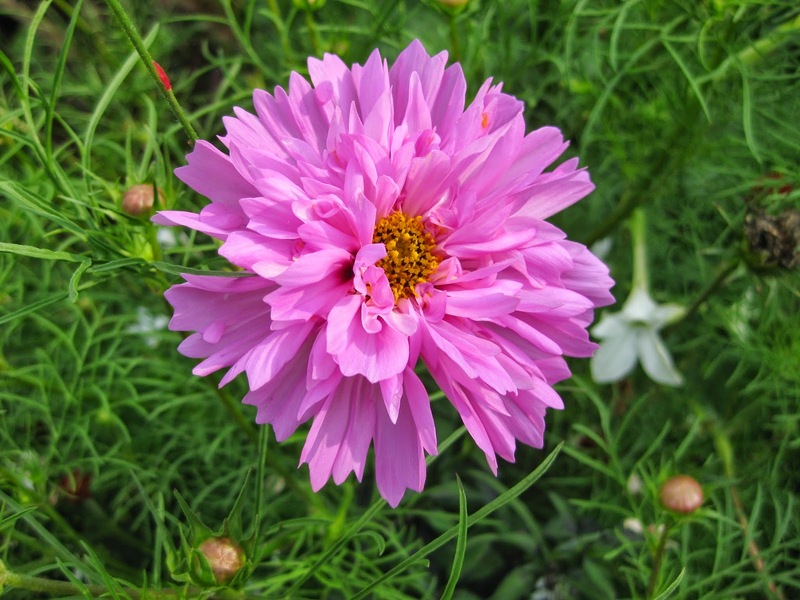 There was a logically strong focus on the multitude of Cosmos bipinnatus varieties out on the market. Selections in the collection included plenty of white and red blooming cultivars as well as the bright oranges and yellows of the sulphur cosmos (Cosmos sulphureus). However, I’m partial to all of the pinks and thought I’d share some fun ones in that color range like ‘Fizzy Rose Picotee’ seen directly above. We probably grow 20 types of cosmos on average each year and they continue to be excellent for not only color but attracting many pollinators including plenty of bees and butterflies. Check out your seed catalogs for the wide range of easy to grow selections that are out there. Perfect for the sunny border, cosmos not only have a wide range of colors but also heights ranging from 12″ to 72″! I’ll share the sulphur cosmos palette in a future blog as they are quite “eye-popping”! It was a relatively quiet day at the Horticulture Center. Pat M. was in early and headed out in the gardens to collect half gallon milk jug luminaries. This is an important and timely task for the Holiday Lights Show (HLS) take down process as we like to collect these 2,000 jugs before they get frozen down! Pat also spent time on processing more lights for storage. Bill O. was a huge help with snow removal and took care of most of the paths while I shoveled out the visitor’s center. We had another 2″ of fluff snow from last night but it had drifted around quite a bit. We also saw Urban M. and a few others today. 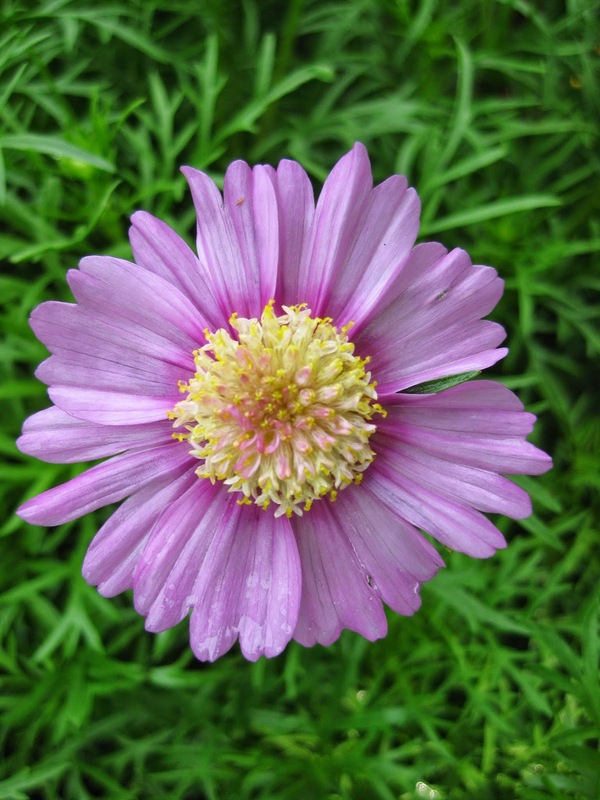 Enjoy your continued cosmos “fix” below…varieties are listed under the associated photo. unknown variety but cool bee!